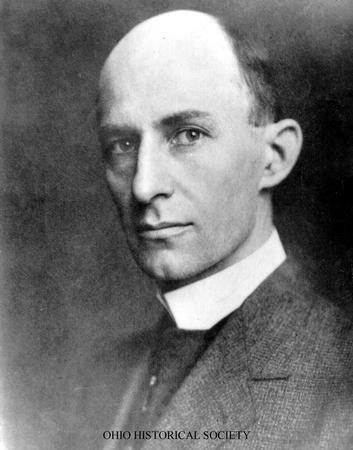 Reproduction of a portrait of inventor Wilbur Wright from Dayton, Ohio, ca. 1900-1912. Wilbur and his brother Orville built and flew the first mechanically powered airplane. Wilbur was born April 16, 1867 in Millville, Indiana and died at age 45 on May 30, 1912 in Dayton, Ohio. Ohio Historical Society SC 4112, AL02664 from the Wright Brothers Collection.